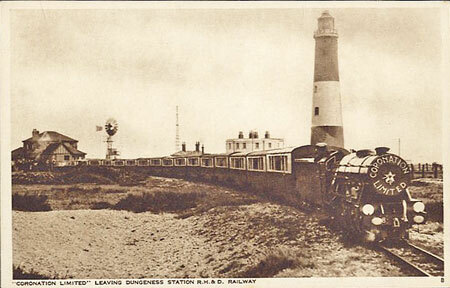 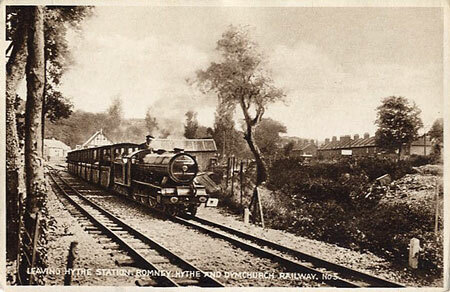 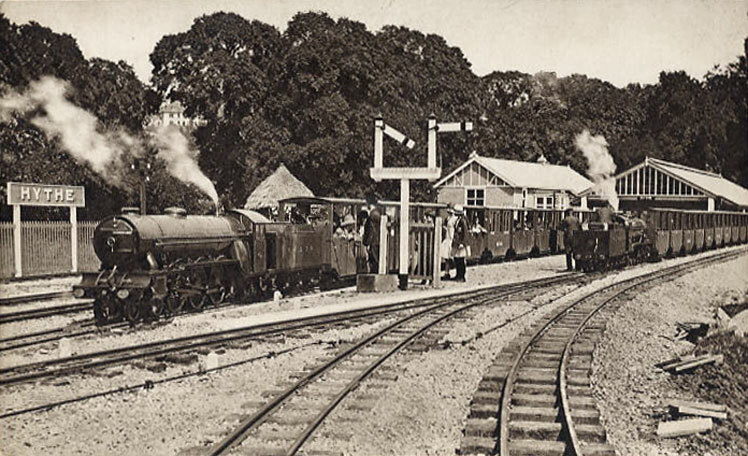 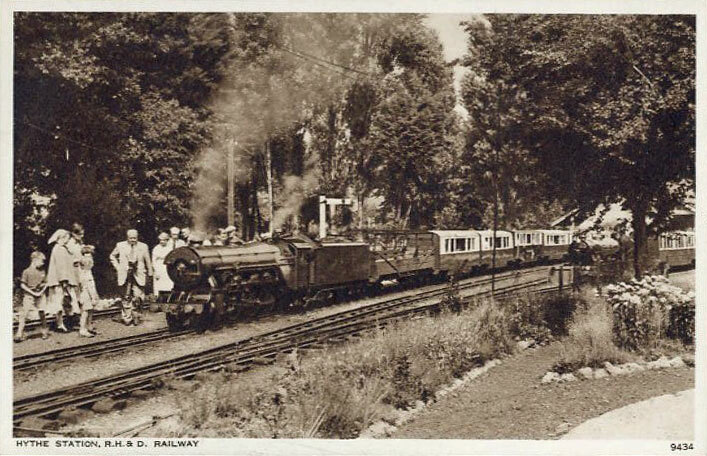 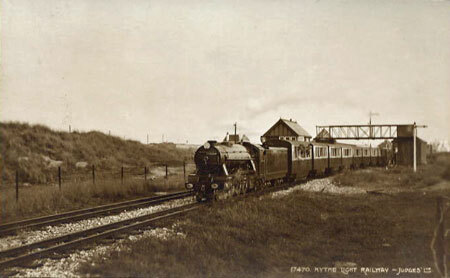 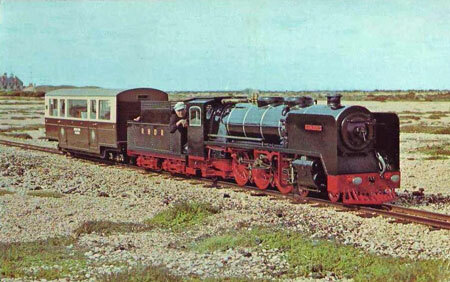 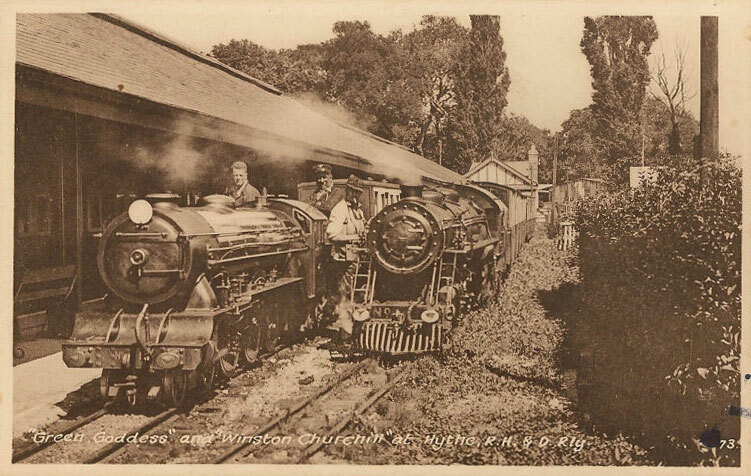 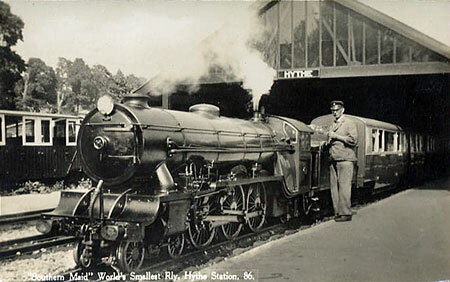 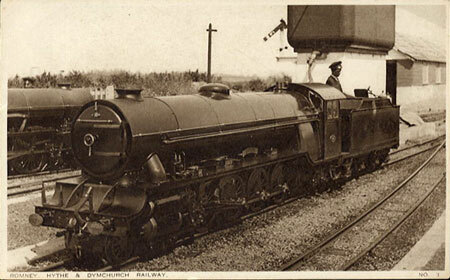 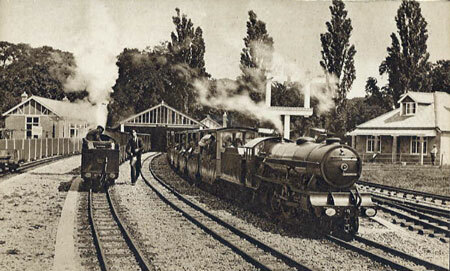 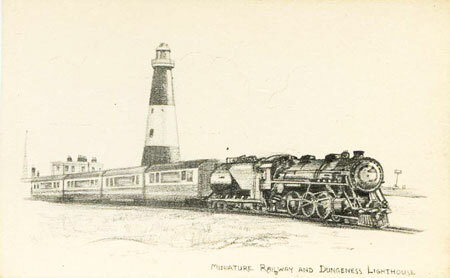 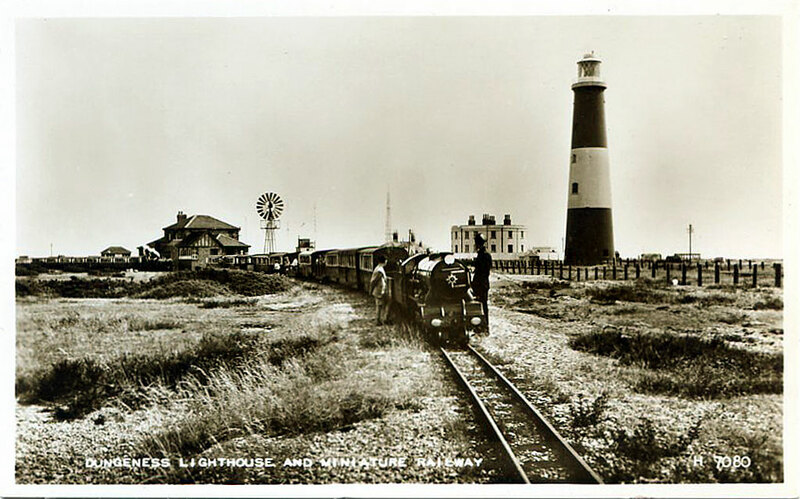 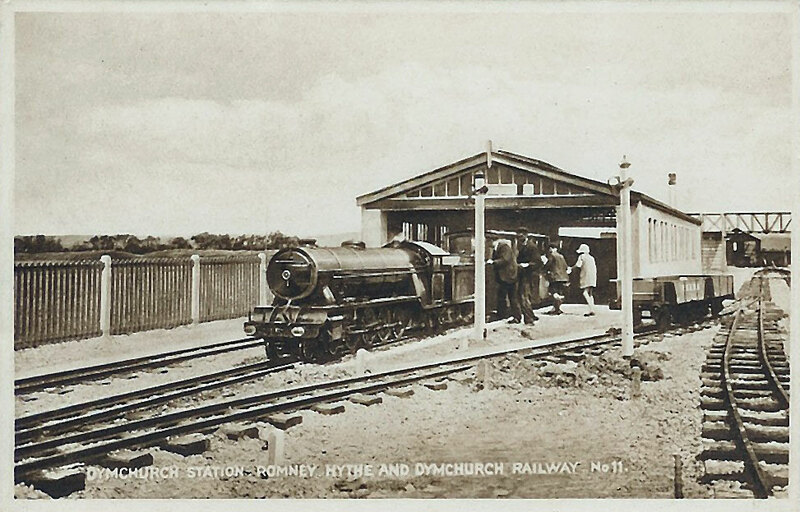 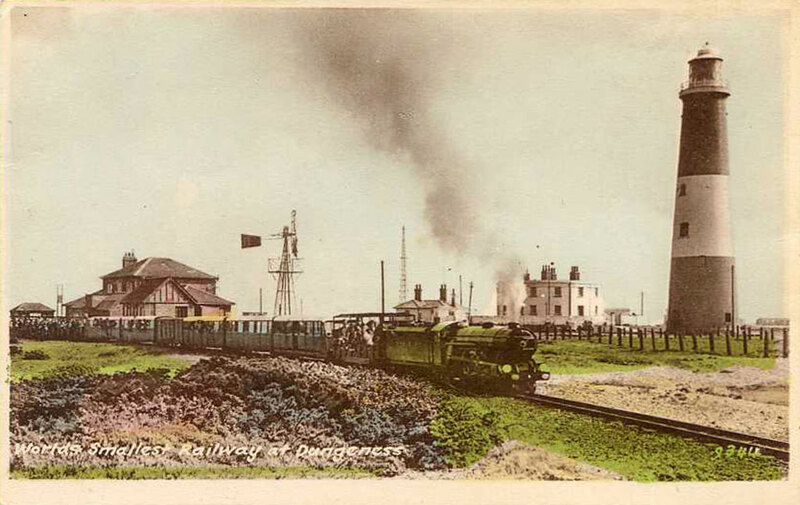 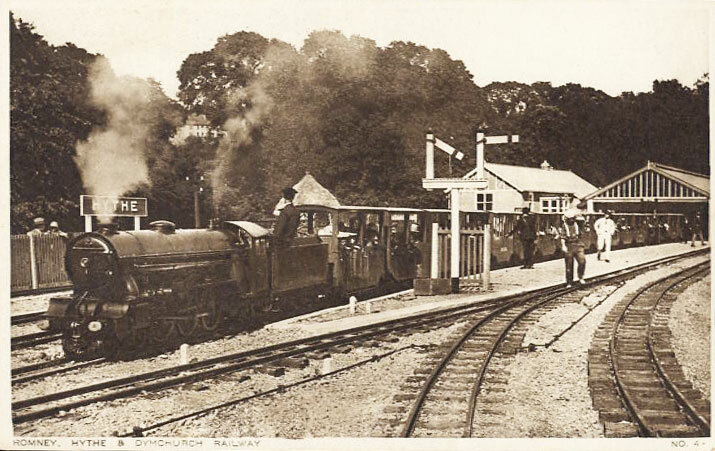 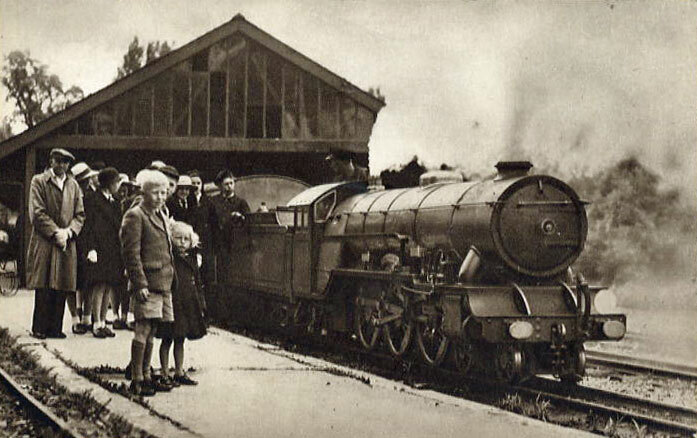 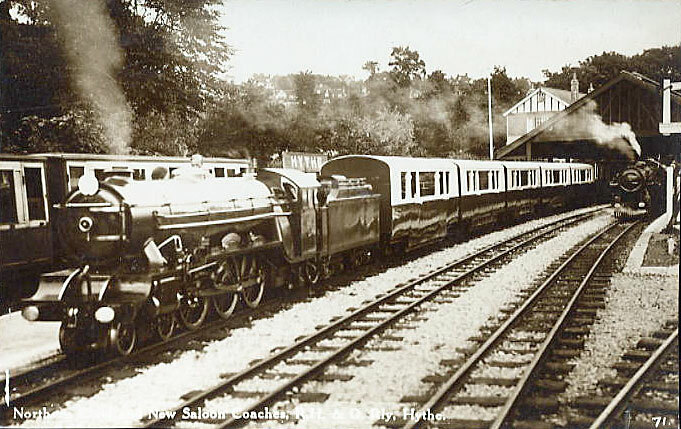 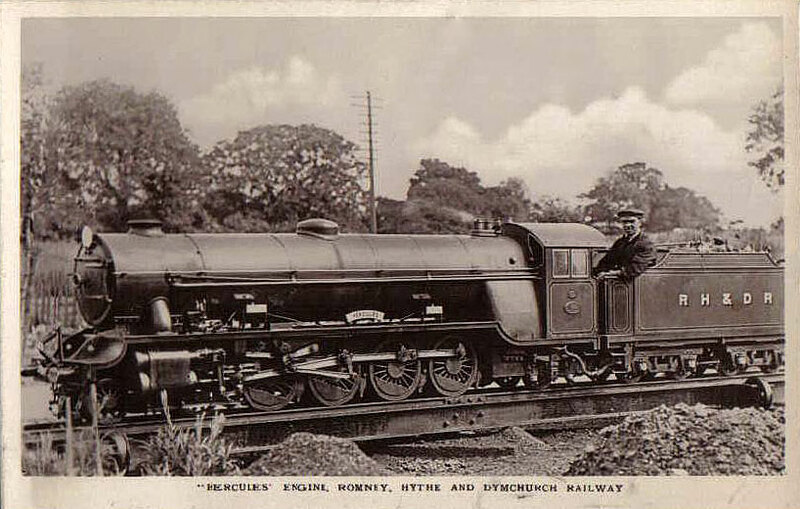 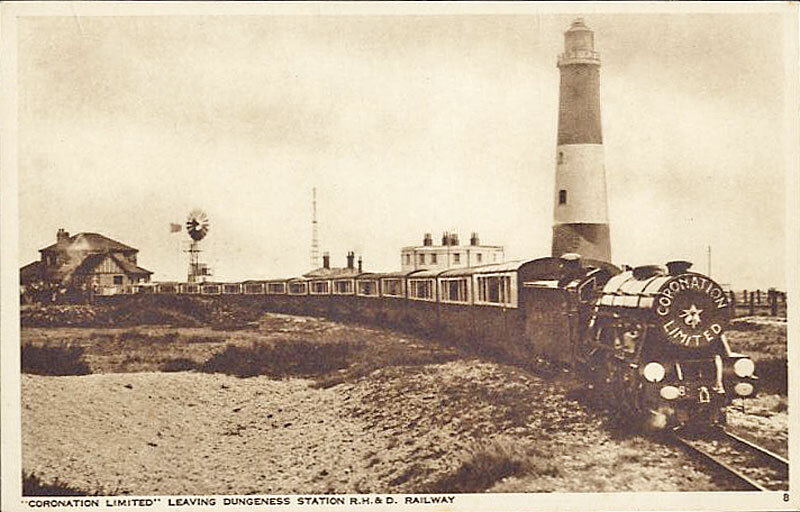 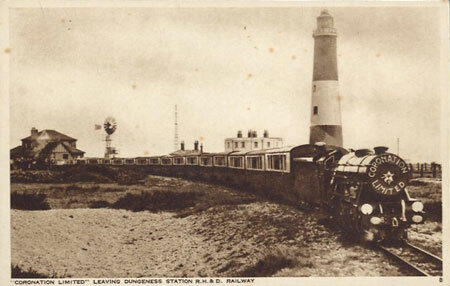 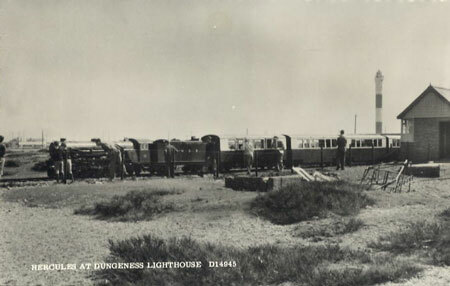 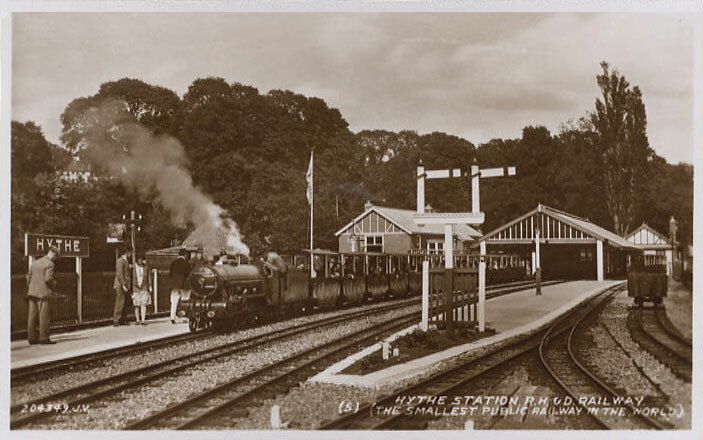 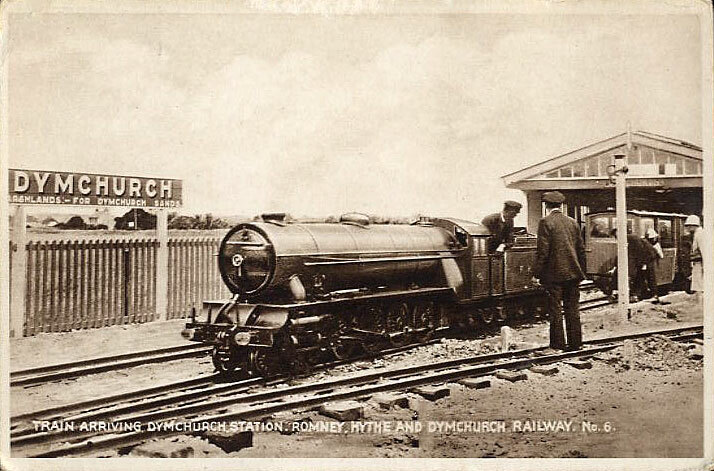 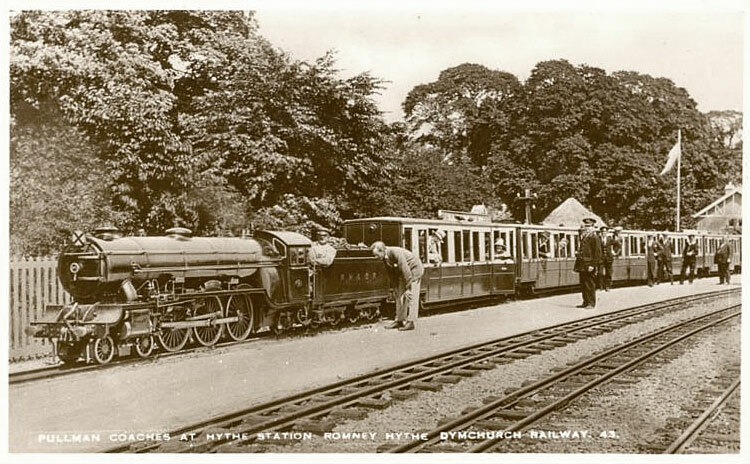 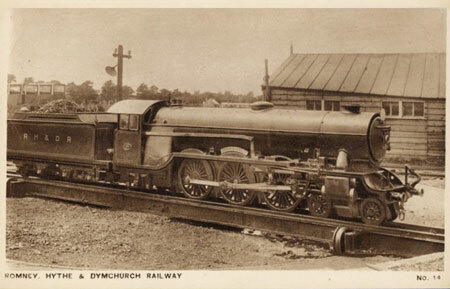 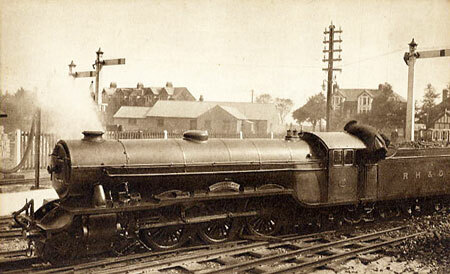 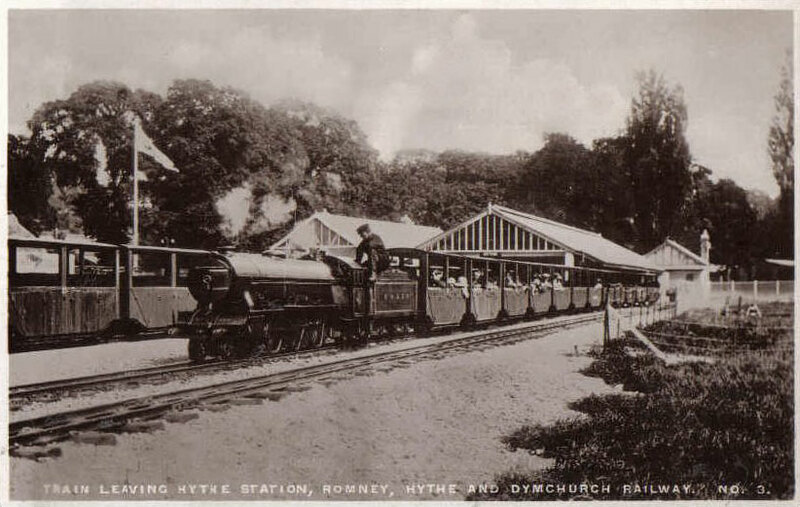 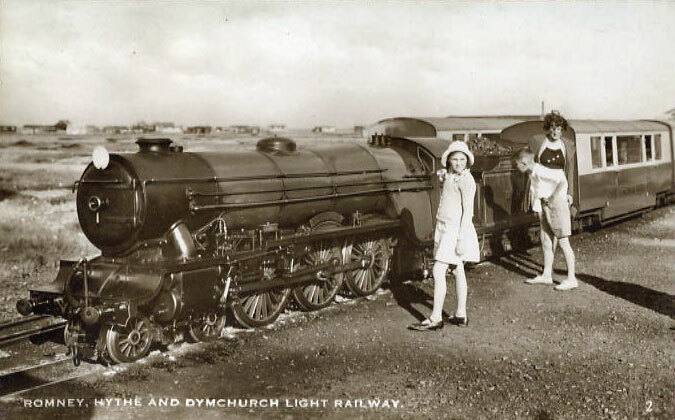 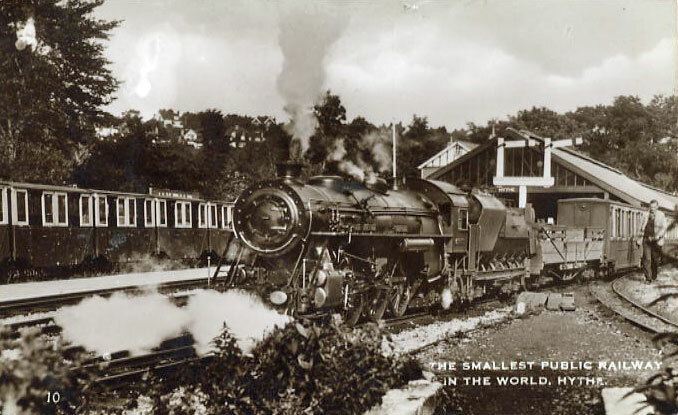 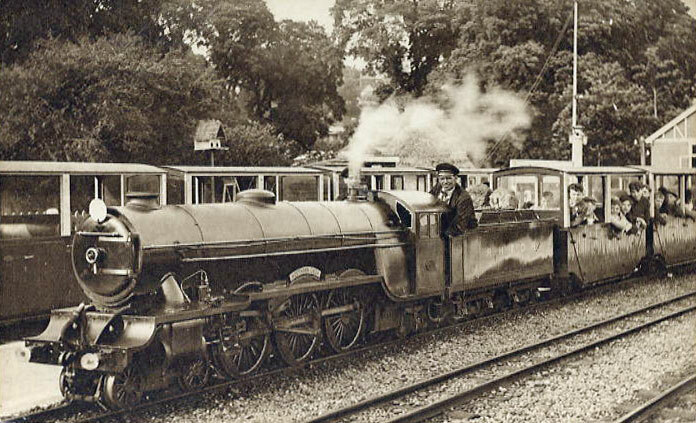 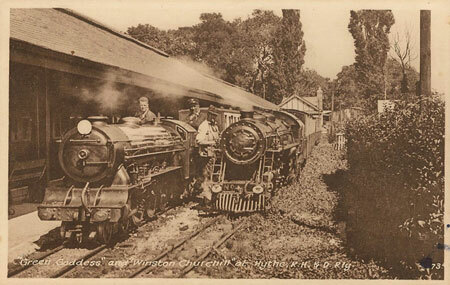 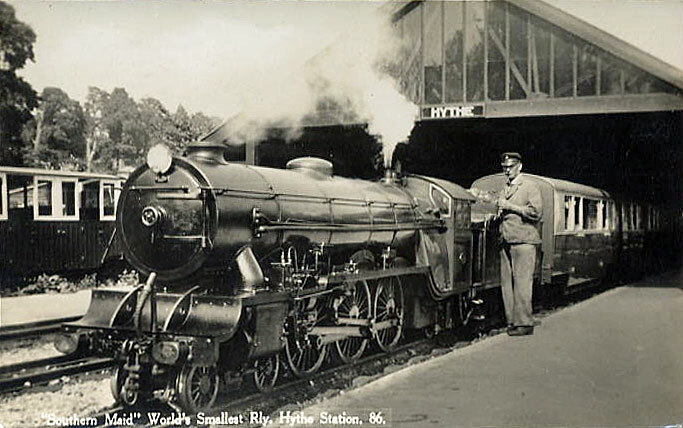 This page shows postcards of the Romney Hythe & Dymchurch Railway (RH&DR), one of a series on this fascinating miniature railway. 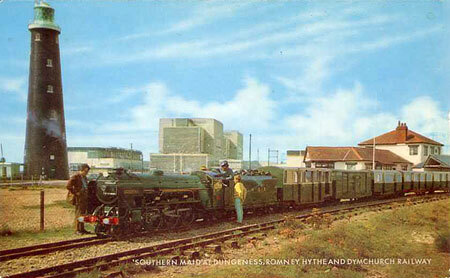 RH&DR Postcards - this page! 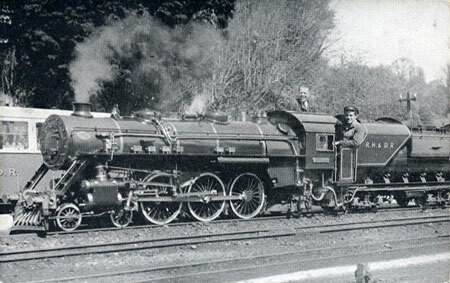 Overall length: 27' 7" - Weight in working order: 8 ton 10cwt - Driving wheel diameter: 2' 1.5" - Cylinders: 5.25" x 8.5"